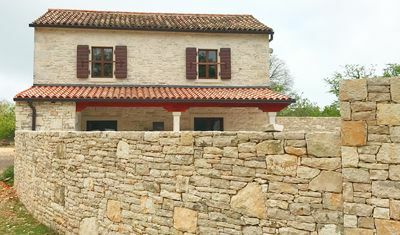 Villa Cehici is the new generation of Istrian rustic villas built with an extensive use of stone and wood. 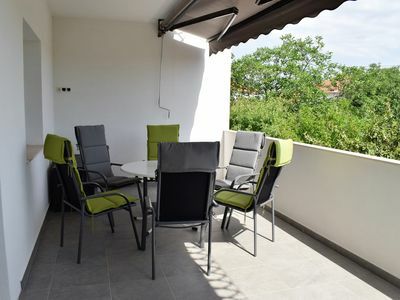 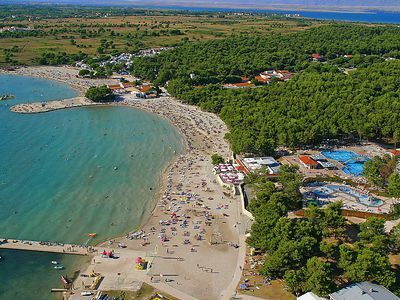 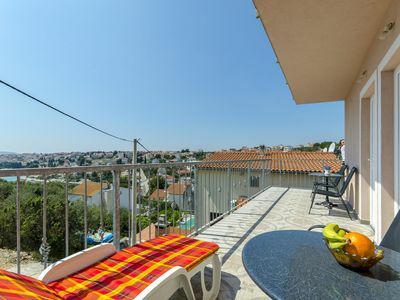 Situated at the edge of the same named village in the green interior of Istria distant only 15 km from Porec and its beaches. 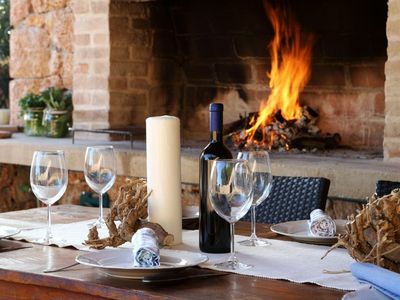 On its own enclosed garden of 1200 sqm with a lovely lawn the guests can enjoy a number of Mediterranean aromatic plants such as rosemary and lavender, and during the warmer periods of the year here flourish numerous floral species. 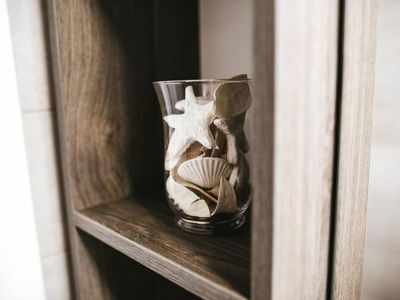 At the guests disposal are also a private pool of 28 sqm, two parking spaces, poolhouse with shower/toilet and open fireplace, sun loungers and a table and chairs for outdoor dining. 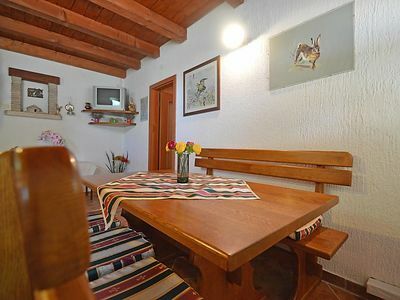 Built in 2007, the villa offers to its guests remarkable comfort thanks to the quality rustic furniture and unique decorating style. 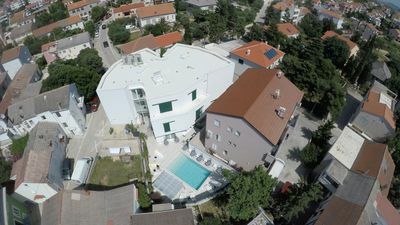 Villa with swimming pool for 6 persons with a total living area of approximately 150 sqm situated on two floors + a poolhouse of 30 sqm. 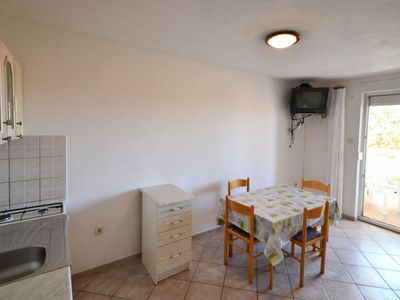 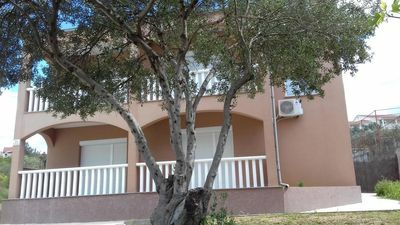 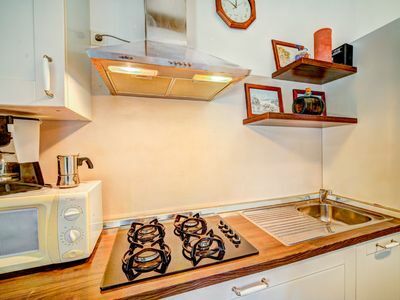 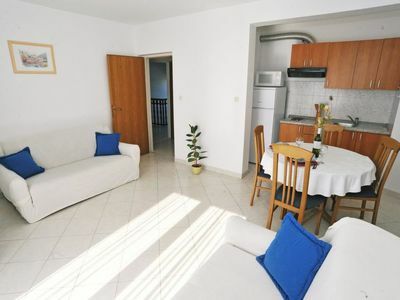 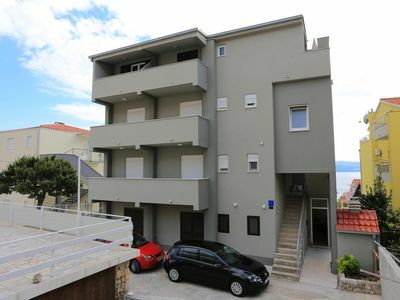 At the ground floor there is a spacious air-conditioned living room with sitting area, fireplace, dining table with exit to a terrace, separate and fully equipped kitchen, one bedroom with double bed, shower/toilet and a separate toilet. 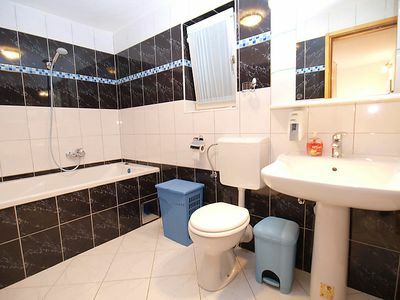 At the first floor there are two bedrooms with double beds with a bathroom/toilet in the corridor. 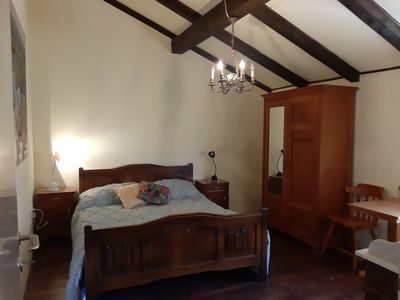 The poolhouse, which is located at 20 m from the house there is a shower/toilet and a lovely open fireplace.